Your whole family will be digging into this hearty taco meat and bean mixture.&nbsp;The topping of corn bread and Cheddar cheese makes it especially delicious. 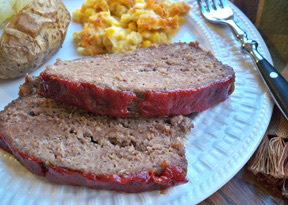 A basic meat loaf recipe made with a simple brown sugar and ketchup sauce that makes the perfect topping. Tilapia gets a coating of seasoned lemon butter before broiling for a quick, easy and healthy dinner. 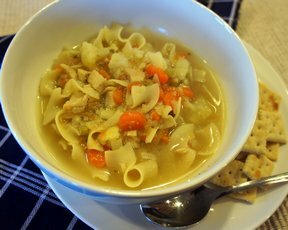 Packed with vegetables this soup is sure to cure any illness. 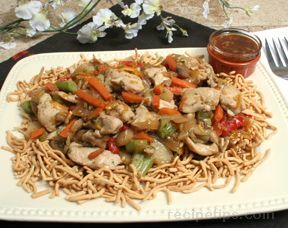 Even better reheated the next day. It'll remind you of back in the day. Smoked pork chops with a light honey glaze. 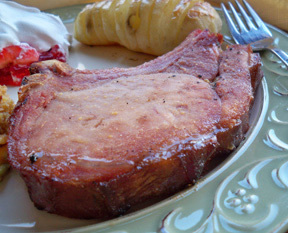 The smoked flavor of the pork chops blends well with a hint of sweetness from the glaze.